The story of a man who forgets the one who he loves. George suffers from face blindness, a disorder that doesn’t allow him to recognize one face from another. All his life he has been able to work with it until he falls in love. 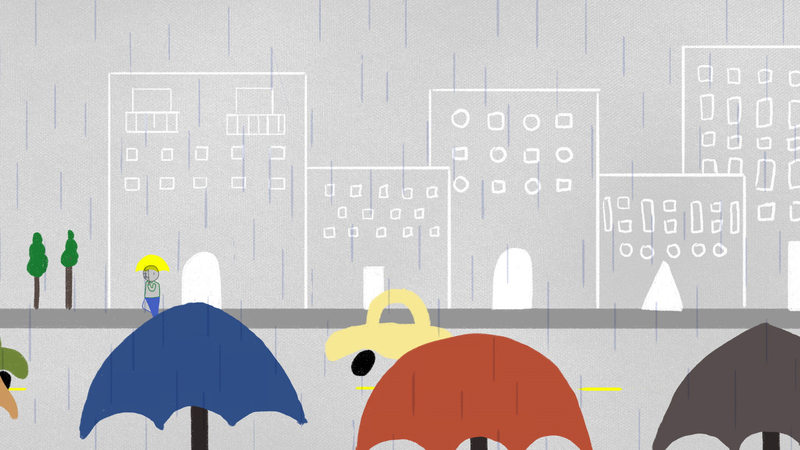 Catalina Matamoros is a talented animator and illustrator from Colombia. She holds a Masters degree in Animation and Digital Arts from the University of Southern California. Her film Out of Line co-directed with Alicia Jasina was a semifinalist at the Student Academy Awards in 2015 and received the Audience Award at the Parisian film festival Nos Yeux Grand Ouverts.